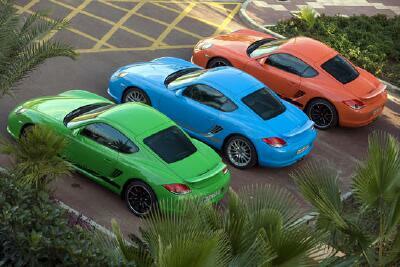 The Cayman S in a trio of primary colors. Spring is here and many of us have uncovered the Porsche that's been hibernating all winter. We hope you're ready to roll as we have a lot of events coming up for you to enjoy your Porsche in the company of other members. This edition of Steinlifters Online brings you up to date on events through early July. A recap of some of the events that were held in March also are chronicled here. We start off our newsletter with a tribute to John Guy, who passed away in early March. John was an outstanding person and PCA member. Read the tribute here. Per the PCA - Milwaukee Region bylaws, Article VII, Section 3, the Audit Committee consisting of Treasurer Renee Messing, VP Rick Zinda, and President Don Kiepert conducted the annual audit of fiscal year ending December 31, 2009. The audit was performed on Wednesday, March 31, 2010. The Audit Committee is pleased to report to the General Membership that PCA - Milwaukee Region is financially sound, and that the Club has continued to maintain detailed financial records required by generally accepted accounting methods. President Kiepert and Vice President Zinda wish to commend Treasurer Messing for her continued fiduciary diligence and impeccable accounting of the Club's finances. April 10 -- Tech session about driver education. Learn the basics or increase your knowledge about this activity that so many enjoy. This will be a worthwhile Saturday morning. Details here. April 30 -- A free membership meeting for all members. Join us at the spectacular Harley Davidson museum for a night of fun and good conversation. Touring the museum is optional and the first 50 to RSVP get one free admission. Our get together will take place in a special designated parking area as well as inside for a brief program. Above all, this is a night to commemorate the region's founding 50 years ago on this date. Join us. Details here. May 1 -- Honor the Vets Porsche Car Show. Help put some smiles on the faces of American military veterans who live at the Zablocki VA medical center. This is a short time commitment. Details here, including an optional lunch (each pays own lunch bill) at TGI Fridays at Miller Park. Details here. May 8 -- Driving tour to Road America. Not doing DE but you'd like to see the track and drive it yourself at a touring speed? Join us for a follow-the-leader tour from SE Wisconsin to Road America. Watch some of the DE in progress. Then tour the track and cap it off with a great dinner at the Lake Street Cafe in Elkhart Lake. Dinner is optional. Details here. May 23 - Autocross at Miller Park. See the Autocross Events page on this site for details. June 4 - Driver education at Blackhawk. Register at www.motorsportreg.com and check out the DE Events page on this site for more details about driver education requirements. June 6 - Autocross at Miller Park. See the Autocross Events page on this site for details. July 4 - Drive to 2010 Porsche Park in St. Charles, Ill., to enjoy the concours d'elegance. Details here. July 12 - Driver education at Blackhawk. Register at www.motorsportreg.com and check out the DE Events page on this site for more details about driver education. 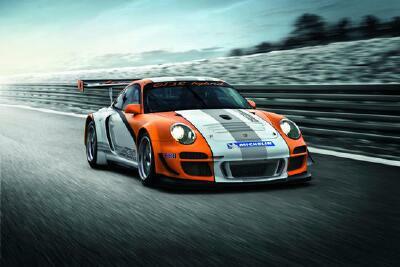 July 17 - Everything Porsche celebration at Porsche Park, Road America. More details coming. Events continue to unfold as our region celebrates its 50th anniversary as a region within Porsche Club of America. Read an article here by 50th anniversary committee co-chairs Gary Messing and Ron Pace about what's coming up. April 24 -- Central Region PA swap meet. Details here. March 19 Goodbye Winter, Hello Spring brought 30+ members together. Several new and "seasoned" members got together for dinner on March 19 to kick winter outta here and welcome spring. A recap is online here. A tech session on March 27 brought members of the PCA Milwaukee Region and the BMW Club together to learn about tires. Recap here. Check out the classifieds on your region Web site. Use the classifieds at no charge to advertise your Porsche-related items. Find contact information for your region board of directors and any committee chairs online. There's been lots of kudos garnered by Porsche lately. Here are some of the latest news releases. Top brand in J. D. Power Dependability Study. Details here. Coolest brand, according to Kelley Blue Book. Details here. 60th anniversary of the U.S. love affair with Porsche. Details here. Porsche reports U.S. sales for March. Details here. Sebring experience. Check this out. Daytona, top-gun style. You're in this Cayman. Enjoy the ride.